Not a place for kids. We waited for over an hour just to be seen. If we didn’t say anything itwould have been longer. Nobody even told us there was a delay. It’s one thing if it’s an adult but not a 2 year old. They can’t wait like adults. They should be seen quickly. Not a place for kids. We waited for over an hour just to be seen. If we didn’t say anything it would have been longer. Nobody even told us there wasa delay. It’s one thing if it’s an adult but not a 2 year old. They can’t wait like adults. They should be seen quickly. the new patient forms were lengthy which seems to be normal compared to other Specialists like this ENT. The receptioniststaff are friendly and helpful. The medical assistant who check me in asked relevant questions allowed me to provide my own narrative to help inform the reason for the visit. Dr gergits had a transcriptionist so he was able to document the visit in real time. During his assessment even cleaned out both of my ears. He also has a radiology department within his building that can take very specific head CT images ears head and neck. After he completed the head CT I was seen by an audiologist who gave me a complete hearing exam. When I completed the hearing exam the audiologist took me to doctor Girgis office cuz then completed the consultation in reviewed the head CT images and hearing exam with me. He took time to review all of the information provided me handouts that are easy to understand, and allowed time for me to ask questions which I did. I have a follow-up appointment in 2 months and we'll review the outcome of his prescribed treatment for me. I saw two providers and got a head CT in less than 2 hours. This is a very efficient office. the new patient forms were lengthy which seems to be normal compared to other Specialists like this ENT. The receptionist staff are friendly and helpful. The medical assistant whocheck me in asked relevant questions allowed me to provide my own narrative to help inform the reason for the visit. Dr gergits had a transcriptionist so he was able to document the visit in real time. During his assessment even cleaned out both of my ears. He also has a radiology department within his building that can take very specific head CT images ears head and neck. After he completed the head CT I was seen by an audiologist who gave me a complete hearing exam. When I completed the hearing exam the audiologist took me to doctor Girgis office cuz then completed the consultation in reviewed the head CT images and hearing exam with me. He took time to review all of the information provided me handouts that are easy to understand, and allowed time for me to ask questions which I did. I have a follow-up appointment in 2 months and we'll review the outcome of his prescribed treatment for me. I saw two providers and got a head CT in less than 2 hours. This is a very efficient office. Took time to explain everything. All staff was super helpful and pleasant. I always appreciate a physician who takes the time to explain what he thinks the issue is and how he plans to address it. Dr. Girgis did exactly that in a friendly and respectful manner. Highly recommend him for ENT issues! Very professional establishment and staff! Fantastic. I went in expecting to wait a bit as you would at any doctors office. I had a bout a half hour wait. I was having trouble hearing after a horrible ear infection. They took great care of me andI am slowly regaining my hearing. I would recommend them. I would HIGHLY recommend Dr. Girgis...staff is wonderful & when I questioned the wait time(making sure they didn't forget about me) they were very nice. I think everyone(me included) needs to understand that these specialists have situationsthat come up & I really do think his office tries their very best to fit everyone in. He is very thorough & you will not feel rushed. very good nice guy very helpful. Very helpful, informative, and a nice manner. Dr. Girgis was very thorough in his examination and explanation which is very rare now days. Highly recommended. Overall was a good experience. Wait time was a lot longer than I would have liked. The waiting room was a bit dismal and could have been updated. The staff was excellent and professional. Dr. Girgis was just what I wouldhave expected for at ENT professional. He did pick up that I had a technical background and communicated wth me accordingly. The only significant issue was that he was looking to solve problems that I felt did not need attention at this time and he should have asked if I wanted to pursue the remedies for those non-critical issues. Dr. Girgis performed sinus surgery on me and corrected my problems however each time I've had an appointment with him, with exception of my initial consultation, I have waiting no less than 90 mins. Also most of their staff is friendlyincluding Melissa however there is 1 particular nurse that has terrible bedside manner - she's a more mature woman with blonde hair. If you're having issues go see them just be prepared to wait all day, multiple times until your issue is resolved. Dr Girgis did not see me but his physician's assistant did. Melissa did a great job and I would recommend her to everyone due to her excellent execution of removing ear wax from my ears.Quick and efficient without any pain. I believe he was able to correctly diagnose the problem, which my previous doctor had not been able to. It was; however, very frustrating that I did not see the doctor until an hour and a half until after I was scheduled. Very thorough and entire staff and Dr. were so professional and caring. Definitely would recommend. Very pleased and walked out feeling like I had a good plan for a problem that I have been dealing with for quite some time. He is terrible with handling kids. He was impatient and his tone and behavior was threatening to my daughter. She was very upset and scared. The wait time out in the waiting room was excessive and also had to wait for more than 40 min once we were inside. Dr. Girgis is amazing, I had a septoplasty done by him since I had roughly an 80% blockage in my nose from a deviated septum and inflamed sinuses. The surgery went perfect and he was more than informative of what wouldhappen. I freaked out after my surgery because I thought I was bleeding too much and went to the emergency room at 11:30 at night.....Dr. Girgis came to the emergency room to check up on me that night (mind you this was AFTER doing multiple surgeries since the early AM that very day). Even though I was experiencing normal bleeding and nothing was wrong with me he asked no questions and treated me amazingly, patched me up a bit more and sent me on my way. Imagine working 12+ hours then being called at 11:30PM for one of your patients coming in with a nosebleed and asking no questions about it, 5 star Doctor all the way, I HIGHLY recommend him to anyone searching for a Doctor. All the rest of the staff is equally as amazing, any question I asked whether it be stupid or not, they answered along with a few jokes at my expense, hands down one of the best doctors and staff I have ever been to, they make you feel right at home. Loved the doctor and hopefully his information will help but the wait was extremely long. His office staff were also very friendly. It was a positive, and pleasant visit for me. Doctor Girgis is awesome. Years ago I went in for nodes on my vocal cords. While there, we also began to discuss my sinus issues. He got my in for both sinus surgery and a rhinoplasty and I was beyond happywith the results. Even after my dog broke it again (twice!) Doctor Girgis was able to laugh along with me and fixed it wonderfully both times again. Large, upscale practice with a professional staff, everyone poised and polite, and the doctor himself was engaged and sincere. Hard to imagine an ENT practice any better than this. Everything was great with the exception of the wait time before I was seen by anyone. The visit was thorough but it was really long! 3-4 hours long! I was happy that they completed a battery of tests but I really needed a heads up on how long we were going to be there. I had tocancel another appointment. Also I competed the insurance forms online ahead of time, but didn't realize they needed to be printed out at home. The office could not access the online forms I had filled out. Very frustrating and a time waste however Dr. Girgis was great! Was able to diagnose right away an issue I was having with my throat that was causing me great distress. Very pleasant, listened to what my symptoms were. Had hearing testing done and wants to do CT scan of head and MRI. Will have a follow up in 4 weeks. Gave prescription for nasal spray. Staff was very friendly. At first I was upset because I faxed over my new patient packet before going and called over the phone to make sure it was received but when I arrived 10 minutes early they could not find my paper work goodthing I had it in the car so I ran to the car to get it, but after that everything was smooth the staff all around are excellent detailed nice and caring I highly recommend Dr Samuel Girgis! The whole experience was very pleasant , his staff very pleasant and professional .5 Stars. I was well cared for as usual! Dr. Girgis was very professional, thorough and friendly. I appreciated that he took the time to explain the cause for my symptoms, treatment, etc. His thoroughness was likely the reason that the wait time was so long. I like him a lot. He takes the time to answer any questions I ask. Very intelligent and to the point. He is very thorough in in exams and diagnosis. I had to wait today only because there was an emergency with another patient in the office. I had a wonderful experience! 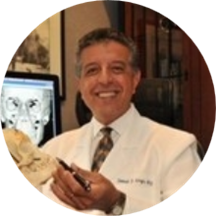 Dr. Girgis is professional, thorough, kind, and caring. Very nice manner~Lots of waiting...but it was worth it! Doctor seemed knowledgeable and professional. The wait for the appt was ridiculous - apx. 1 hour and 20 minutes until I saw the doctor. I've seen doctor Girgis a few times over the last 12 years or so and have always been happy. Sometimes you get stuck in the waiting room for a little while, but it's not unusual compared to other doctors I've seen. Totally attentive, thorough and professional. Very good & professional, very caring. ALTHOUGH IT TOOK ALONG TIME, I LIKED HOW HE EXPLAINED EVERYTHING TO ME AND ANSWERED ALL MY QUESTIONS. Very happy with my visit & with the doctor!